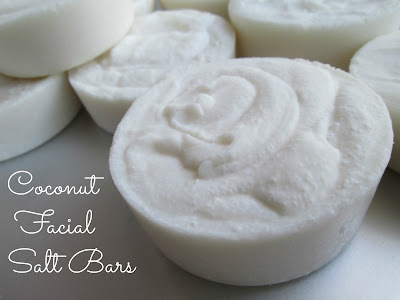 This soap is all about the coconut: coconut oil, coconut milk, coconut flour and coconut butter. And salt. 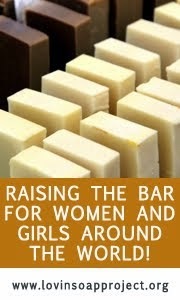 Because this soap happens to be a salt facial bar that is loaded with coconut goodness. 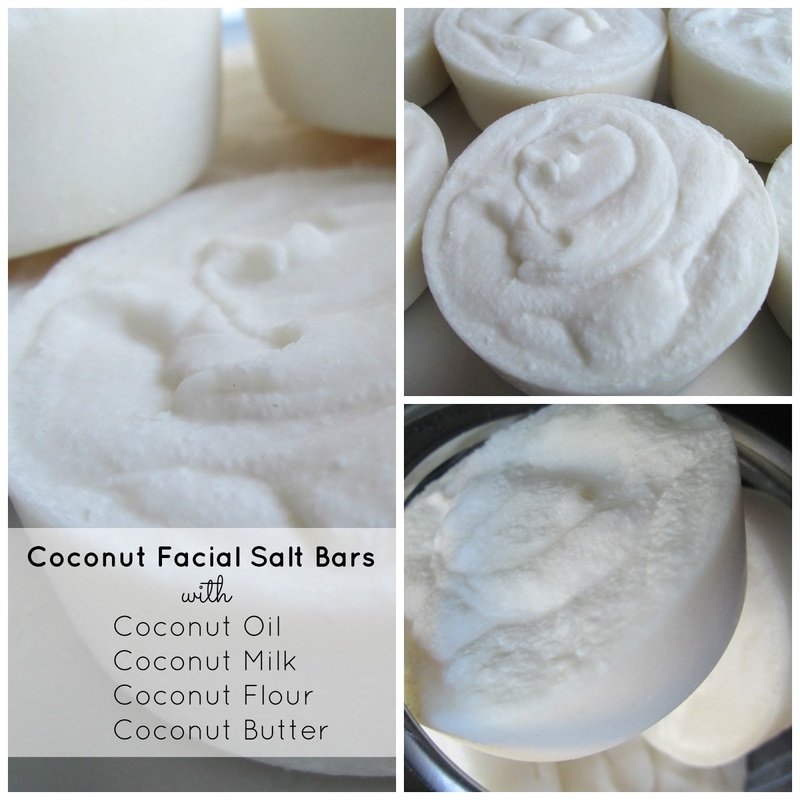 I experimented with another facial bar a few weeks ago, and some of you commented about how much you liked using salt bars on your face. You've convinced me that a salt bar was definitely something I had to try! I wanted to keep this soap 100% coconut, so coconut oil is the only oil I used. Normally coconut oil might be drying to the skin at this high of a percentage, but I did superfat it at a higher % to keep the soap moisturizing. I used fine sea salt along with the coconut milk, coconut flour and coconut butter to make this coconut facial bar. I can't wait to try it, I think my skin is going to love it! I should add too, that I would definitely recommend making these in a divider mold or individual molds, they harden up fast...these were removed with 3 hours of making them! Thanks so much for reading everyone, wishing you all a fantastic week! Thanks Roxana, I'm really looking forward to trying these! This thing with nut butters in soap is so interesting. Did you calculate how much fat there was in the butter or did you use it as superfat? Hope you will love these salt bars, I sure do. Was just yesterday looking at the green salt bars I made a while ago and hoping time would go faster so I could try them. Lol, you know me well! I just added the coconut butter as superfat, I'm not sure how you could calculate it otherwise (I wish we could though!). How long do you let your salt bars cure for? I like to wait for at least 2 months for the salt bars to cure. But often I just can´t wait for that long and use the first one after 6 weeks. Can´t you just count the fat amount from the coconut butter if you weigh the amount of shredded coconut you use and look on the bag how much fat it contains? At least on Finnish bags it always says how much fat there is per 100g. 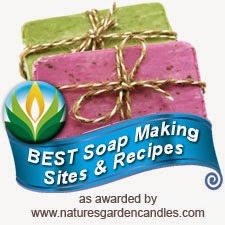 Lovely soaps, Cee! 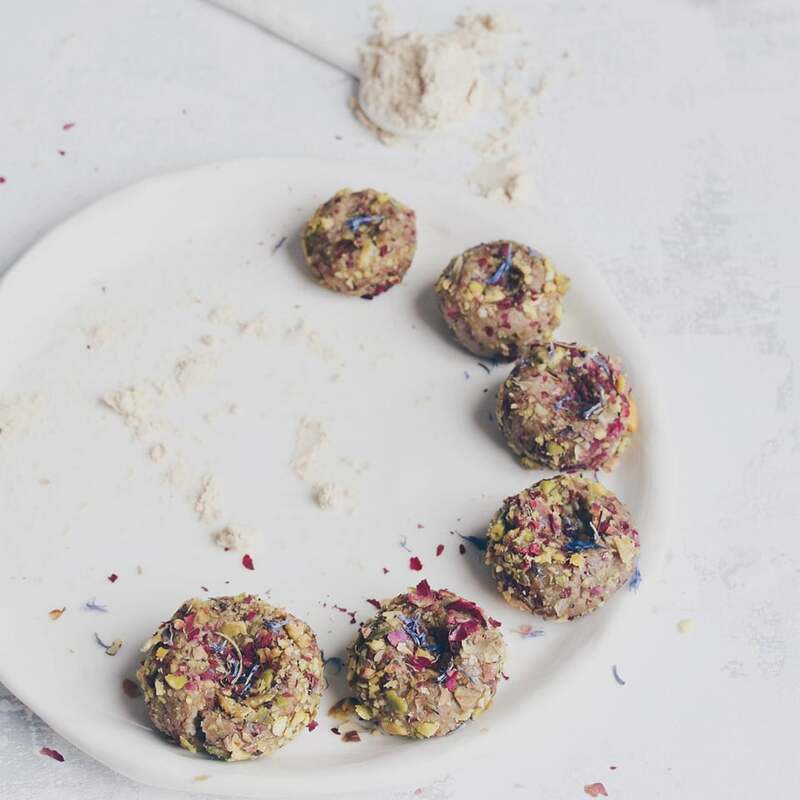 Gorgeous ingredients, love the idea of combining coconut flour and salt in a soap! It's a pity you can't make coconut salt,lol! What % of salt did you add at the end? I have tried mine, it really feels nice,much better than I expected,especially because it's summer and my oily skin is really happy to get rid of excess of sebum and all this sweat. Salt bar works perfectly and yet, doesn't dry skin out! These look so cute, happy using and tell us back how you like this coconut paradise! Ohhh, coconut salt, is that a dare?! lol! After reading your comment, I went with 50%, it seemed like a good place to start. I'm so glad you like your salt bar, I like the way you describe it working...I'm so curious to try one now! Always love visiting your site Cee, can't wait to see what you are going to create next! The coconut salt bars look divine, let is know the results after the cure. Thanks Gloria, it's always so fun to try something new! They look so pristine and cute! The shape and color remind me of rice cakes. :-) I made salt bars once using coarse Himalayan salt but I found it way too scratchy. Fine sea salt sounds so much better. I like your idea of adding coconut milk and flour. I suppose this is unscented since it is for the face. Just wondering what does it smell like? These look awesome. I have been intimidated to try salt bars, someday I want to give it a go. Yours sound lovely with all of that coconut goodness, I bet they are just fabulous!! Thanks so much, they were actually super easy to make but I would definitely recommend using a divider mold or individual mold because they harden up fast!!! This is probably a rather stupid question, but Well hey, I'll go for it anyway. What purpose does the flour serve in the soap? Is it like a talc, absorbing moisture/oils washed from the face? No question is stupid Denise! :) That's the basic idea, I was using it in place of clay for absorbing properties. I was also thinking that the natural sugar in the coconut should help boost the lather too. Beautiful, Cee Gee! I was curious to see what you would do with the coconut milk, butter, and flour you made. I think you'll like the salt bars as a facial soap. And, I agree, single cavity molds or dividers are helpful because salt bars harden up so fast. I'd rather not obsess over when to cut them myself. Thanks so much Jenny, I did read your salt bar tutorial before making these and definitely took heed of your suggestion to use single-cavity molds! 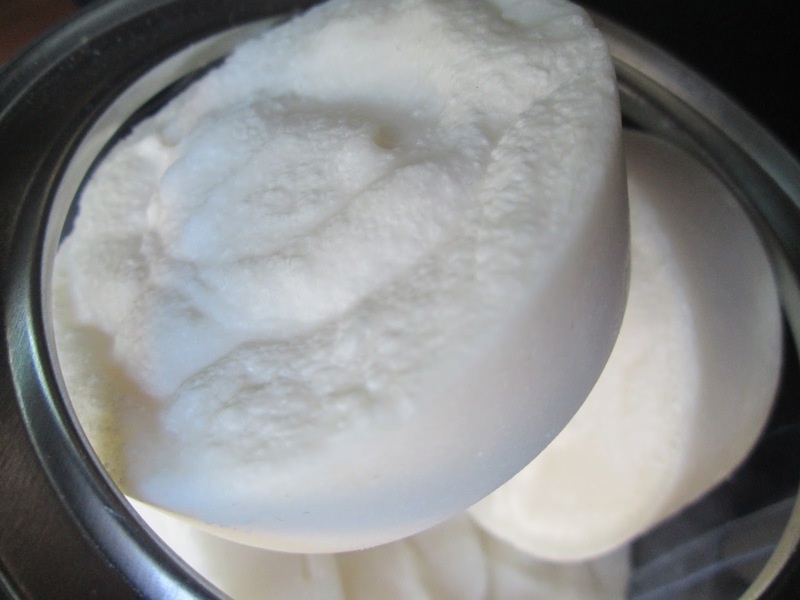 Those look so foamy and like soft white summer clouds! Your experiment with coconut things was wery interesting. I was wondering, what is that stuff you used for them - until I realised it yesterday, at least I think so. Kirppu, is it kookoshiutaleita? Thanks Signe! I'm not Marika, but I did look up kookoshiutaleita and it does look like the same thing I used, shredded coconut, which we use in baking. Thanks, Cee! :D I never realised before that you could make other things out of shredded coconut. I definietly must try it some time. Have you tried that coconut butter to any other things than soap? Could you use it in body creams too? I like how white they turned out! I like salt soap but used all my stock, you really inspired me now to make another batch! Thanks Gordana! I feel so behind in discovering salt bars just now! Cee, me encantaría probar tus jabones, tienen que ser fantásticos. Cuanto me queda por aprender? Thank you so much Anne-Marie, I really looking forward to trying it! They turned out beautiful Cee! They look so luxurious...it's inspiring looking at them and makes me want to go make more salt bars, I'm down to a sliver! Thanks Kalla, I hope I like them as much as you all do...I'm really looking forward to trying these out!